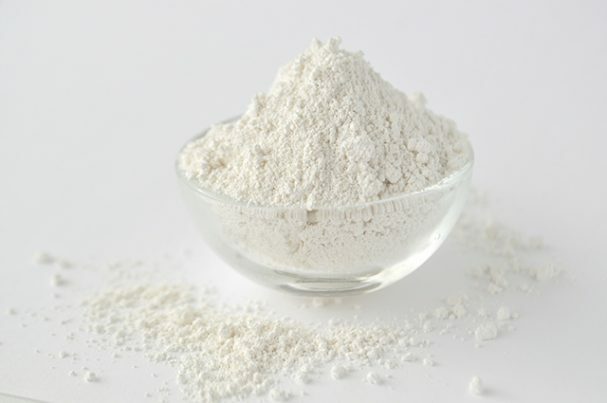 Ammonium acetate is a white crystal-like or sand-like solid substance that has a hint of vinegar-like odor. Its chemical names are acetic acid and ammonium salt. This substance is soluble in water and is used in chemical analysis, pharmaceuticals, dyeing of textiles, and meat preservation. It is also used as a buffer solution, for determination of lead and iron, and separating lead sulfate from other sulfates. This a known hazardous chemical and is a threat to the environment. Irritating vapors of ammonia acetic acid and nitrogen oxides may cause fires. Ammonium acetate also causes the decomposition of sodium hypochlorite, which is a chlorine compound that is often used as a disinfectant or a bleaching agent. Ammonium acetate can be harmful to the body when inhaled, swallowed, or touched. Some of the few known harmful effects of ammonium acetate include symptoms such as flaccidity of facial muscles, tremor, discomfort, anxiety, and impairment of motor performance among those people who have been infused with the chemical. Ammonium acetate can harm some organs of the body. When its dust particles are inhaled, it can cause irritations in the mouth and nose. This will result to coughing, wheezing, and shortness of breath. Repeated exposure to ammonium acetate can irritate the lungs and may lead to bronchitis with symptoms of coughing, phlegm, and shortness of breath. If inhaled, the victim must be removed within the area and allow him to breath fresh air. Moreover, when it is ingested, it can cause irritation in the mouth and stomach. In addition, contact with dust particles of the chemical can cause irritation of the eyes and mild irritation of the skin. If the chemical gets into contact with the eyes, the victim must rinse the eyes cautiously with water for a few minutes. Are You Being Poisoned On a Daily Basis? Ammonium acetate is a white crystalline solid that smells like vinegar. It is a hazardous chemical that is used in the analysis of chemicals, pharmaceuticals, dyeing of textiles, and preservation of meat. It is considered harmful in the body because it can cause irritation in the mouth, nose, mouth, stomach, skin, and eyes when inhaled, ingested, or in contact. It can also negatively affect the facial muscles and impair motor functions.